In this article, we explain the legal situation for the use of drones in the Democratic Republic of the Congo. 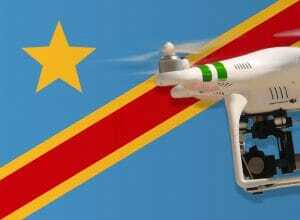 According to a reader, drones have been allowed in the Democratic Republic of the Congo since 2016. According to the information, with drones up to a weight of 5 kilograms, you should not need any further permission, as long as you stay away from people and only fly in daylight. However, I could not find an official source for this information. If you want to be on the safe side, then you should check with the responsible aviation authority in the country. Alternatively, you can also ask at the Embassy of the Democratic Republic of the Congo in Germany. Please let us know when you receive new information or gain experience in the country! Thank you in advance!